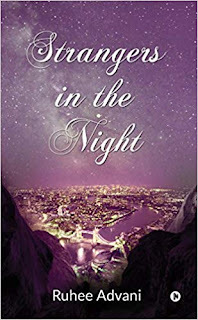 Strangers In The Night is one of the 4 books published by Ruhee Advani so far. I am not going to speak about the story in this review since it can be said in 1 line but what makes this novel, a special one. Ruhee has had the penchant of writing since her childhood and there is no wonder that she could show a great variation in her writing. I had reviewed her other two books - one is a collection of poems and other is a play. Firstly, I would like to mention the style of writing. Having read close to 1000 books(or even more), i can say it with absolute confidence that if this same story was penned by a male/guy author, he wouldn't have brought out all the emotions faced and experienced by two girls in this story as they famously say "only a girl can judge/read another girl's mind". This is a simple novel but having said that, this is in no way going to leave you feel bored. My usual preference is a crime/sci-fi thriller but this novel has kept me captivated from the beginning till the end. The narration was a master class, I must admit. The story revolves around three characters - Alisha, Anandita and Arun - (A-Cube). 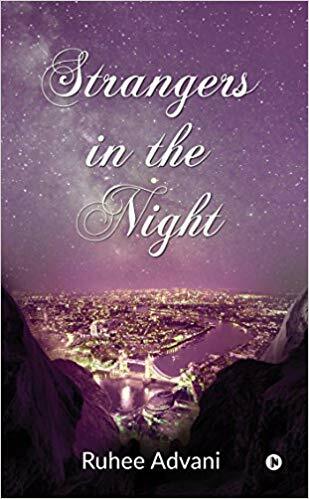 The story has captured the brilliance of love at first sight and the consequences of falling in love, especially when it is a long distance love. Not many would have encountered this situation and would have been lucky. I know many cases where the lovers had let it go for the mutual benefits, which is sad but was the reflection of stark reality. There are so many things which needs to be taken into consideration, on both the sides - be it a girl or a guy. Like I said earlier, not all would have an happy ending. Did this novel had one? You'll have to read to find it. I can say again with absolute confidence that you wouldn't regret.